St Michael’s is a flourishing Parish Church with a strong choir and increasing numbers in the congregation. A church has existed on this site since before the Norman Conquest and some parts of the Church date from the mid 13th century. The Church prides itself on providing a warm and welcoming atmoshere to all. 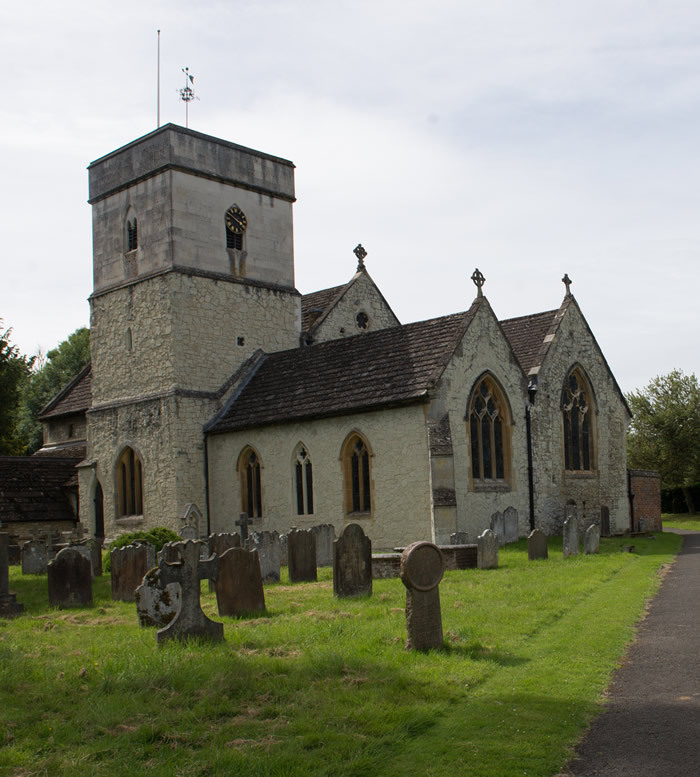 It has featured in a number of films and was the first church included in ‘Four Weddings and a Funeral’. For details of Services and other activities please see St Michael’s Parish Magazine which is distributed each month to all homes in both the civil and ecclesiastical parishes of Betchworth. St Michael’s Church is currently in a period of interregnum, following the appointment of its previous vicar, Revd Canon Carol Coslett, as Arch Deacon of Chesterfield in March 2018. 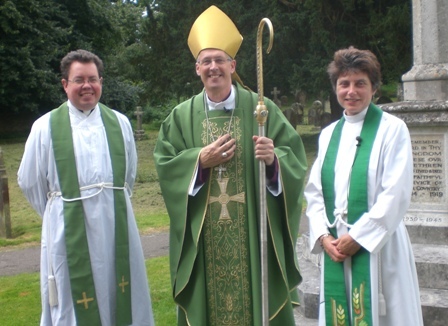 Services are currently overseen by Revd Canon David Eaton with the support of the Church Wardens. St Michael’s has a long musical tradition and maintains a strong choir under the guidance of the Organist and Choirmaster, Melvin Hughes. High spots are the anthems each Sunday, the monthly Choral Evensong and the annual Service of Nine Lessons with Carols. The Church is very fortunate to possess a new 26-stop two manual and pedal mechanical pipe organ by Kenneth Tickell & Co Ltd of Northampton which was installed in 2014. The practice of bellringing has not changed much since the church tower was rebuilt in 1851, although the number of bells has increased from 6 to 8, and all the bells were re-hung in a new steel frame in 1984. Visitors are always welcome in the Tower, and particularly on practice nights (Tuesday 8pm to 9.30pm), when a visit to the bells and an explanation of the mechanics of the art of change ringing can be obtained. Throughout the year our dedicated ringers ring for Weddings and Sunday Service, and attend the practices (often followed by a small libationin the nearby Dolphin Inn). Other traditions include an annual dinner, which is rated one of the best invites of the year, and the annual choir v. ringers croquet match which now usually takes place at Polesden Lacey. Strong though the Bellringing team is, they would welcome anyone over the age of 12 who has a sense of fun, and might be interested in taking up ringing, to ensure the continuation of this traditional English craft. Musical and physical skills are not very important, although a sense of rhythm might be useful. 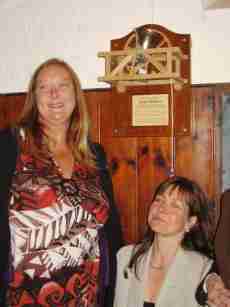 Shelley and Philippa Roberts in the belfry on the 20th May, when a model bell was dedicate to the memory of Coise Roberts, who was an inspiration to the bellringers for many years. The idea of a model bell was concived in 1996 and it incorporates a number of features, which Coise would have much appreciated. It was cast at the Whitechapel Bell Foundry and mounted into aframe made by David Hill from a piece of the old Betchworth Bell frame removed in 1984. The wheel was made from oak, donated by Peter Woods, from a tree uprooted on his land in the Parish by the great Storm of 1987, and the rope and muffle were specially created by local experts. It will now stay in the belfry providing a much needed demonstration facility and reminding the ringers of all the fun enjoyed here with Coise. On the 4th Wednesday each month, from January to November, tea and cakes are served in the Hamilton Room, Church Street, Betchworth from 2pm – 4pm by a small group of cake makers and tea pourers from Betchworth, Buckland and Brockham. We have been holding our Drop-In teas for nearly 5 years now, and welcome local villagers, walkers and visitors to St Michael’s Church, which is located in Church Street, in fact anyone who wishes to Drop-in. Special occasions are celebrated with appropriate cakes, from Halloween and pancake day, to cream scones and strawberries in June for Wimbledon.